Frank Ocean is proud to announce International tour dates in support of his Grammy-winning debut album Channel Orange. On June 22nd, Minneapolis lyricist Dessa—“one of the most diverse and talented artists in indie rap” (URB)—will kick off her 20-city ‘Parts of Speech Tour’ in support of her new album of the same name with two sold out shows in her hometown. The tour will take her out to the West Coast including a stop at LA’s Troubadour and wraps up with a play at the Frank Gehry designed Pritzker Pavilion in Chicago’s Millenium Park for the City of Chicago’s “Downtown Sounds” series. A “beautiful writer” whose lyrics are “moving and provocative”, Dessa’s Parts of Speech (out 6/25) is her “most personal, introspective work to date” (Bullet). El-P and Killer Mike, frequent collaborators and two of the most celebrated names in rap in their own right, confirm rumors of a joint LP and tour today as Run The Jewels. El-P’s self-produced Cancer 4 Cure reanimated Brooklyn rap last year with his signature lyrical conviction and bruising production; he also handled all of the beats for Mike’s R.A.P. 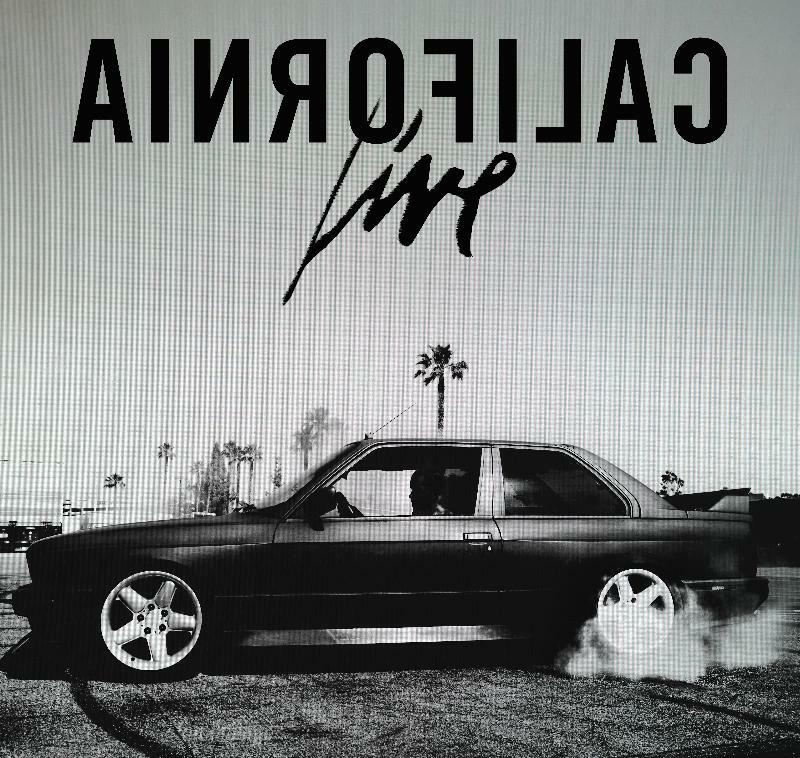 Music LP, which dropped a few weeks earlier. Both won the acclaim of media and fans across the globe and led to 2012’s legendary, hugely successful “Into The Wild” tour. One year later, the duo return to satisfy fan demand and their own creative urges with Run The Jewels, cementing their musical alliance with a full album of uncompromisingly raw, forward thinking hip-hop. As a gesture of appreciation, El and Mike will release the self-titled Run The Jewels LP for free with tastemaking Brooklyn label Fool’s Gold this June, a partnership amongst innovators that feels totally appropriate. The independent label (founded by DJs A-Trak and Nick Catchdubs in 2007) has acted as a springboard for emerging talent since it’s inception, breaking international artists like Danny Brown, Duck Sauce and Kid Cudi. Fool’s Gold’s support for hip-hop iconoclasts is unparalleled, and the label will lend their midas touch to the Run The Jewels project by creating and releasing a limited run of specialty vinyl and merchandise for die-hard fans to be sold only on the Run The Jewels tour and through Fool’s Gold’s website and physical store in Williamsburg. Almost 6 months since their last stint on the road in the U.S, Crystal Castles are making a welcomed return this summer with a 21-date headlining tour in continued support of their latest album (III) (Republic/Fiction/Casablanca). The third official single from their critically acclaimed and most commercially successful full-length will be the slow-groove, big beat and beautiful track ‘Affection’. In other news Crystal Castles are thrilled to confirm they will be joining Depeche Mode on the road this September, and have confirmed dates at The Governor’s Ball in NYC, Lollapallooza in Chicago and Glastonbury Festival in the UK this summer. (III) is available on iTunes, Amazon, Spotify and in all good record stores across the U.S. The legendary Cypress Hill producer DJ Muggs is on fire – after releasing his critically acclaimed dubstep album this January 2013 on Ultra Music, he’s traversing the country with Modestep, the live electronic group known for bass-heavy bangers with vocal and rock elements resulting in full-spectrum sound. MiM0SA will also be joining up on the west coast dates to achieve massive sonic destruction. Named after his recent Ultra release, The Bass For Your Face Tour will be serving up enough bass-heavy soundscapes and dirt-nasty drops to satiate every single EDM fix across the nation. Los Angeles duo Houses have announced that they’ll be joining Baths as main support on his upcoming national tour. 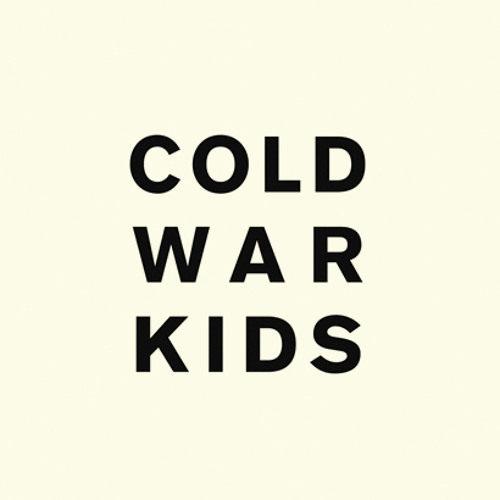 Coming off a strong SXSW showing, an upcoming sold out San Francisco show and having already been announced as main support on Cold War Kids April dates complemented with a remix of their single”Miracle Mile” which premiered on FILTER today, Houses are on track to have a huge 2013. Starting May 23 in Portland and wrapping up June 29th in San Francisco, Houses will be spending much of the next four months on the road in support of their upcoming sophomore album A Quiet Darkness – out April 16th on Downtown Records. The narrative of the album tells the story of a husband and wife separated in the midst of a nuclear disaster and their attempt to reunite with one another along the Highway 10 in California before their inevitable deaths, each song taking place in different abandoned houses along the way. Real life couple Dexter Tortoriello and Megan Messina made the trek themselves multiple times, to record sound and video at these abandoned houses that are featured on the album. The album’s celestial ambiance and wanderlust concepts are conveyed throughout the recording with techniques employed by Dexter Tortoriello’s production and the stark contrast between the minimal electronic pulses, found sounds and meandering and melancholy harmonies. The ethereal sound on which Houses was built is woven through A Quiet Darkness, the 2013 release shows a deep and pensive side to a band who clearly encompass a darker side of bliss; a bold new bravado that will resonate with anyone who has ever experienced love and loss. South Florida producer and MC, SpaceGhostPurrp is an integral part of the US underground hip-hop community. Prolific too, to date he has released a string of online mixtapes that have helped him garner cult underground status. His debut commercial release, Mysterious Phonk: Chronicles of SpaceGhostPurrp was released in June 2012 via 4AD. With this release, we see him take a further step towards the spotlight, and one that brings new shadows with it too. 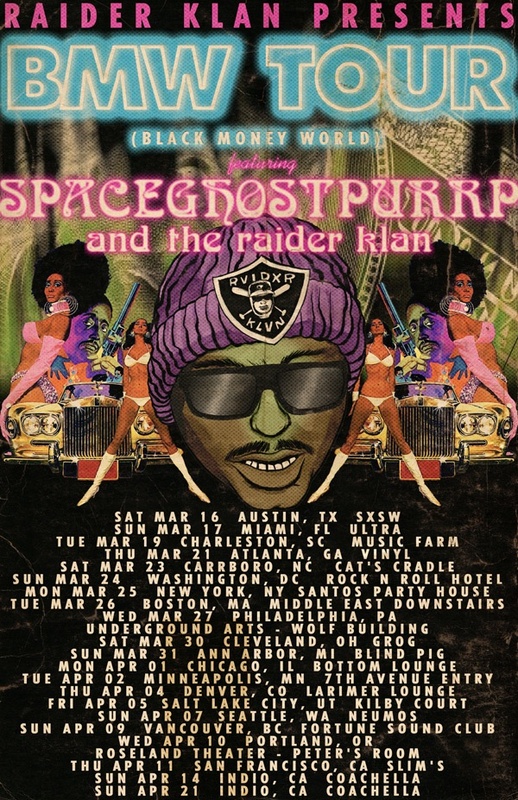 Purrp is touring this Spring with a slew of dates across the US including a performance at Coachella in April.